Daven has this game that he likes to play where he takes every pillow and stuffed animal that he can find in the room and he covers you with them. He claims it's jail. After you get tired of being covered and surrounded, he will decide that it's his turn in jail. This afternoon, he requested that daddy put him in jail. After being surrounded by fluff, Daven begins to shout at Adam, "Hey, let me out of here, you evil wash rag!" What? Did he just say that? "Daven, what did you call daddy?" 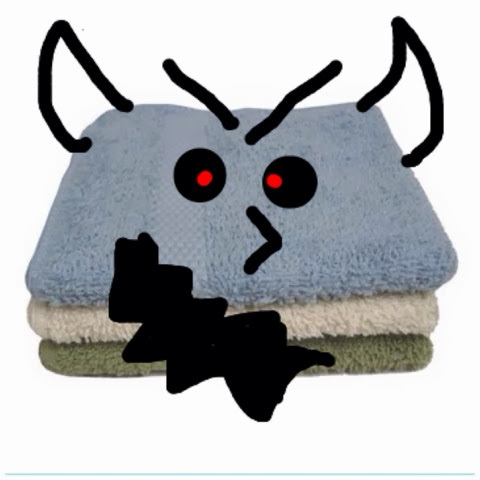 "I called him an evil wash rag. " Interesting. Definitely better than potty words. Although I wonder where he came up with such a concept.